Forgotten Hollywood » Blog Archive » “Forgotten Hollywood”- Public Television Loves Classic Films! “Forgotten Hollywood”- Public Television Loves Classic Films! KCET is a public television outlet in Southern California. The station provides a unique brand of educational programming. Every Saturday at 9p (PST), Classic Cool Theater is your home invitation to the movie-going experience as it happened during the Studio Era. They will expand the cinematic listing during the week leading up to Halloween, which makes this worth noting. KCET is recreating the moviegoing experience from the Golden Age of Hollywood and invites viewers to meet the original artists from the silver screen! Classic Cool Theater is a weekly 120-minute series, which will include a classic cartoon, a feature film, a newsreel, and a musical short. 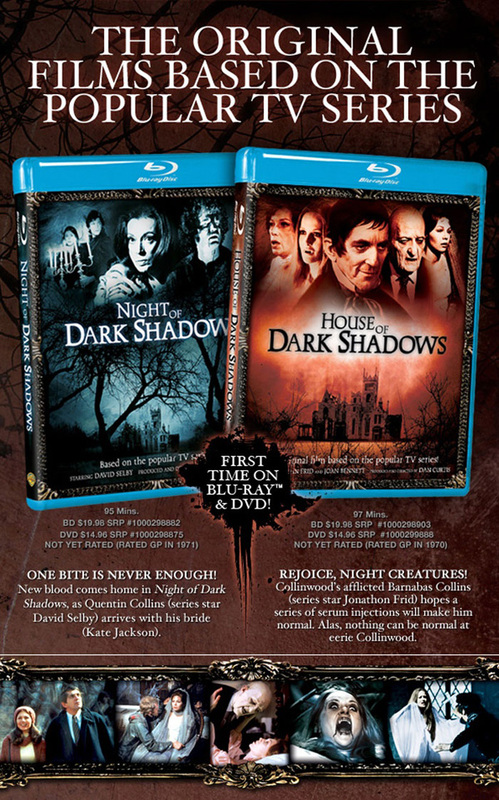 The original Dark Shadows cinema: House of Dark Shadows (1970) and Night of Dark Shadows (1971) will be available on Blu-ray and DVD in time for Halloween (10/30). House of Dark Shadows featured the original soap opera stars: Joan Bennett (Elizabeth Collins Stoddard), Jonathan Frid (Barnabas Collins), Kathryn Leigh Scott (Maggie Evans), Grayson Hall (Dr. Julia Hoffman), Nancy Barrett (Carolyn Stoddard), Louis Edmonds (Roger Collins), John Karlen (Willie Loomis), Thayer David (Prof. Stokes), Roger Davis (Jeff), and David Henesy (David Collins). 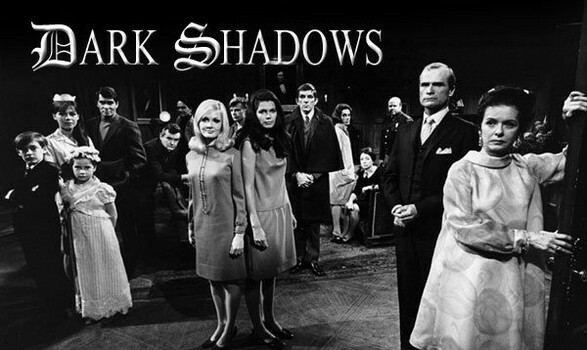 Night of Dark Shadows cast included David Selby (Quentin Collins), Kate Jackson (Daphne), and Lara Parker (Angelique). The Blu-rays will individually sell for $20; the DVDs for $15. This entry was posted on Sunday, September 30th, 2012 at 3:32 am	and is filed under Blog by Manny Pacheco. You can follow any comments to this post through the RSS 2.0 feed. Responses are currently closed, but you can trackback from your own site.